Hugo's *Actions* feature has been an important part of our users' workflow. When it comes to saving time and increasing productivity, the ability to report bugs, file feature requests and create tasks from your note UI is super helpful for our teams. Today, we're making this experience even better with the announcement of One-click Actions! 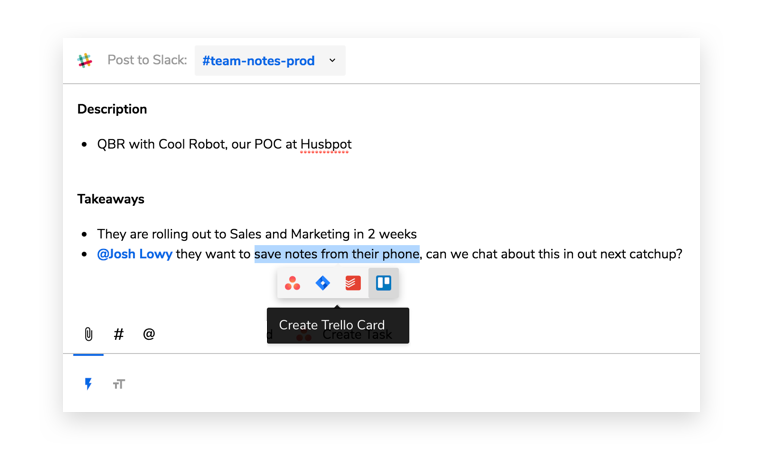 Simply highlight a snippet from your note and turn that into a Trello card, Jira ticket, Asana or Todoist task in one click! A big thank you 🙏 to all of our users who helped inform and refine these updates. Keep the feedback coming! Visit Hugo to connect your team. If you have any questions about these updates, reach out to us - we're here to help! Hugo and AWIP are collaborating to conduct a survey to learn more about the future of women in tech! From learning how to pivot and end information silos, to the importance of qualitative insights and transparency at Hugo, 2018 has been a year of discovery for the team. 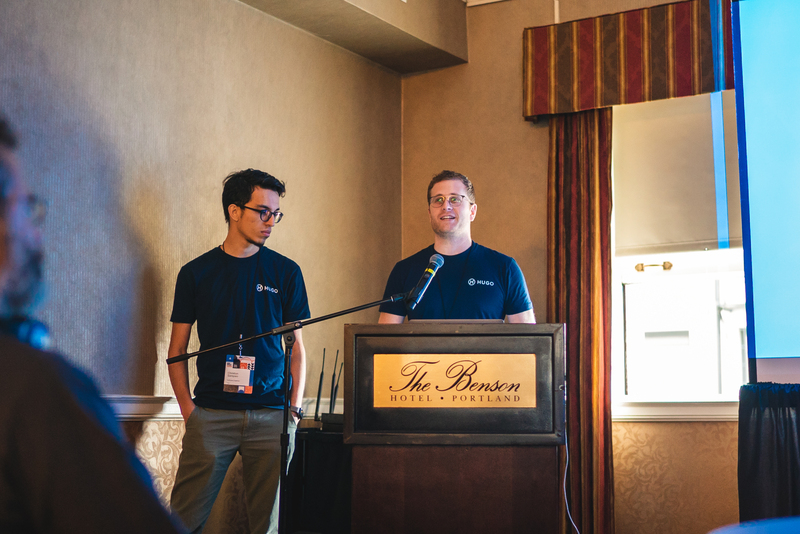 How we became "the Best Meeting Note Solution for Atlassian"
We recently took part in Atlassian's AppWeek in Portland, ending the week with a brand new integration for Jira, Confluence and Stride, making us 'the best meeting note solution for Atlassian teams'.